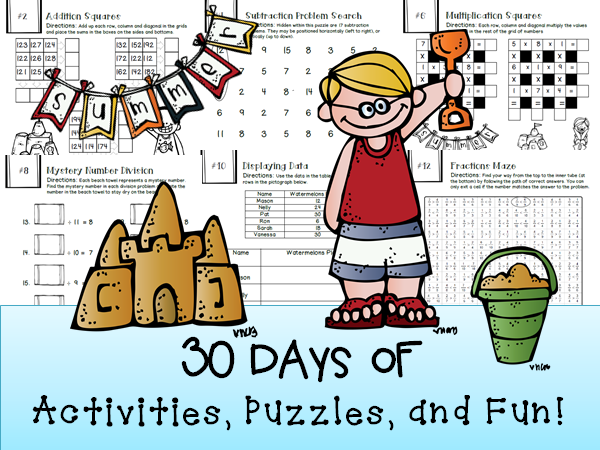 Do you want to assign your 3rd graders a fun summer review? 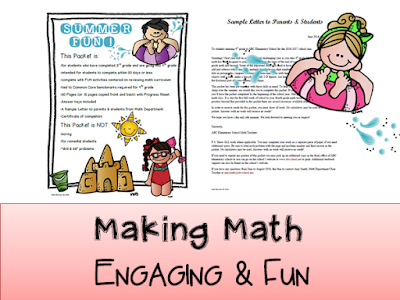 Do you want to challenge students in reviewing Math Skills for 4th grade? 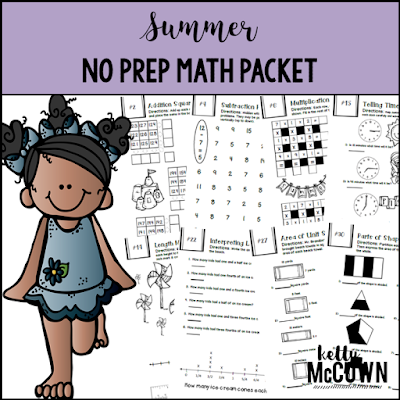 If you said YES, this is the perfect Summer Math packet that your third graders will want to do every day of the summer! This packet is just plain fun. 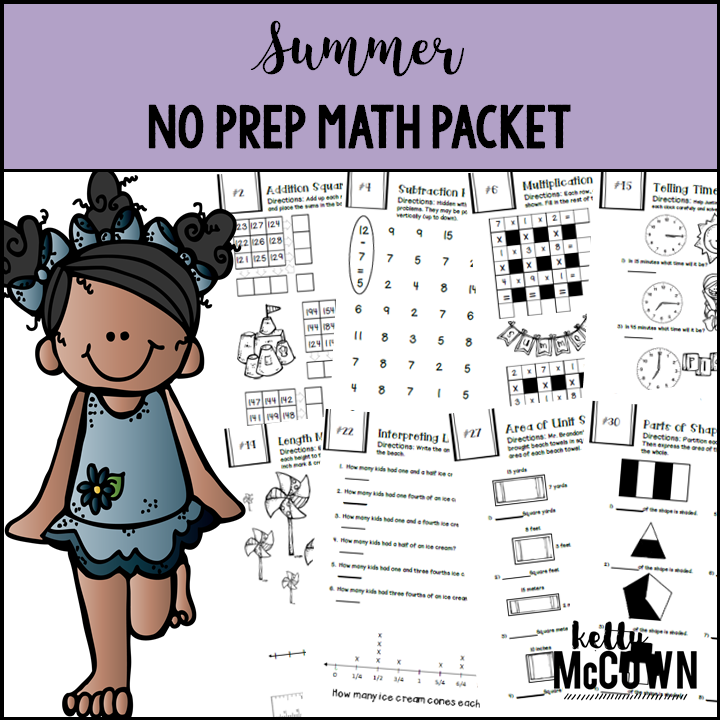 Not only is it PACKED with third-grade common core math problems, it also gives students fun coloring, puzzles, and problem solving. 1. 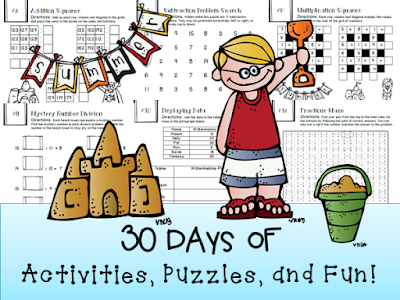 A fun review at the end of 3rd grade during May & June or after testing! 3. A beginning of 4th grade year review activities during August & September!! 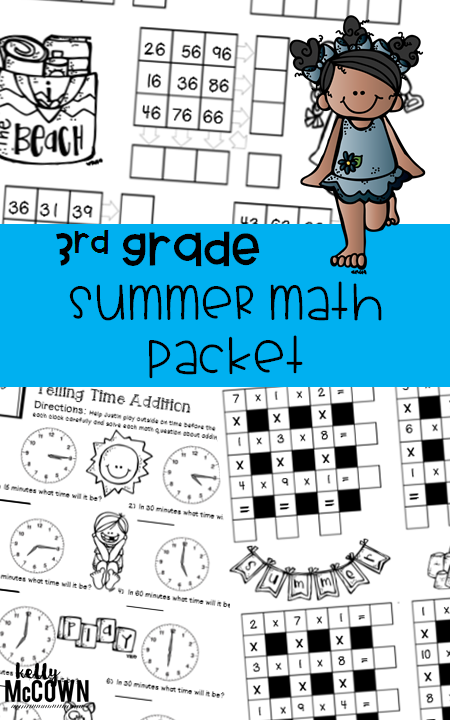 *Designed for students who have completed 3rd grade and are going into 4th grade. Great end of year review for 3rd Grade or Beginning of the Year for 4th Grade! I hope this is an engaging and fun Summer packet for your third grade students to complete. I also have Summer packets available for grades 2, 4, 5, 6, and 7.